Unregulated forex broker CFDPremium has been one of the latest additions to the warning list of the Commissione Nazionale per le Societa e la Borsa (CONSOB). The Italian financial regulator also ordered the broker to cease its illegal operations in the country. CFDpremium is an online Forex broker, focusing on Commodity, Index and Forex trading. The company is owned and operated by Silver Wolf Ltd. Silver Wolf Ltd. is registered on the Marshall Islands and known for operating some other brands, such as FXtrade777, TradeBNP and MarketGBP. It is also known for multiple warnings received from several regulator, including UK’s FCA, Spain’s CNMV, Danish FSA and some others. Moreover, CFDPremium itself has also been blacklisted by Spanish CNMV in January 2019. The broker claims to be located in London, UK. However, we have checked the regulator’s register and haven’t found any mentions of CFDPremium. The website offers different language options, where all the languages are European, which means the firm has been mainly targeting EU residents. All these facts are more than enough to stay away from the CFDPremium. In Italy, as in any other EU Member State, financial intermediaries, including forex brokers, are not allowed to operate without proper authorization either from the local authorities or from any financial regulator of another EU country. You can read our review on this broker here. On 10th of April, a US-registered asset manager East West Global agreed to pay the National Futures Organization a $750,000 fine to settle allegations that it charged excessive fees from investors in its commodity pool. 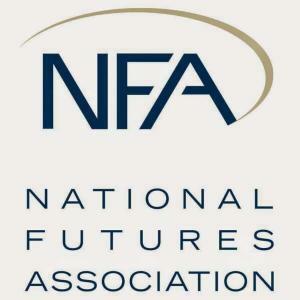 The National Futures Association (NFA) is the self-regulatory organization for the U.S. derivatives industry, including on-exchange traded futures, retail off-exchange foreign currency (forex) and OTC derivatives (swaps). NFA is headquartered in Chicago and maintains an office in New York City. NFA does not operate any markets and is not a trade association. 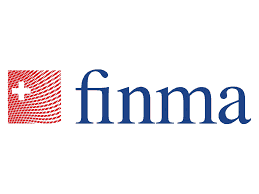 According to the filing, the company breached fiduciary duty and failed to sufficiently reveal the high fees and poor overall performance of the pools which was material information. The NFA launched its suit against East West Global on August 2018, alleging the commodity trading operator allowed to publish these disclosures although the documents were materially inaccurate and likely to deceive pool participants. East West Advisors, LLC provides investment advisory services. The Company offers risk management, investment strategies, consulting, financial planning, and other financial services. East West Advisors serves clients in the United States. 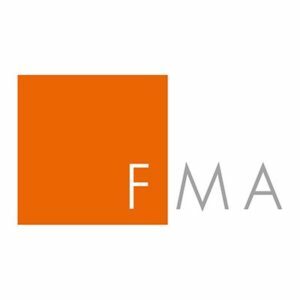 Austria’s financial markets and services providers regulator FMA warned that the Forex and CFD broker TradeToro is not licensed to offer its services in Austria. Therefore the acceptance of funds from other parties on a commercial basis for management purposes or as deposits is not allowed. TradeToro offers over 120 trading instruments including currency pairs, commodities, CFDs and indices. The company is owned and operated by Ivory Group Limited, based in Dominica, which means it is an offshore entity and there is a high risk for the customers when dealing with this firm. We have found out that previously the company claimed to be registered in St. Vincent and the Grenadines. However, the information has been changed not long ago. In addition, there are a lot of complaints can be found on the net about negative experiences of the customers. People state that they’ve been losing huge amount of money with this broker, when managers were still promising profits and asking to invest more. When choosing a new Forex broker, it is very important to verify that they are in fact licensed for investors from your country of residence. Trading with a licensed broker ensures you will not have issues withdrawing your investment. The most trustworthy brokers are those registered with such regulators as FCA in United Kingdom and ASIC in Australia. You can read our review on this broker here. Spain’s financial markets regulator, CNMV, has warned of Forex broker KayaFX. According to the official notice on CNMV’s website, this entity is not registered in the corresponding registry of the commission and, therefore, are not authorized to provide investment services. KayaFX is an offshore Forex and CFD broker. The company is owned and operated by AlphaTec LTD, Leeds, England. According to the terms and conditions, there is also another company behind the brand’s name, Hermes Solution DOO, based in Montenegro and responsible for the clearing and billing services. However, none of the mentioned companies aren’t regulated to provide financial services. The broker has previously been blacklisted by the UK’s regulator Financial Conduct Authority for targeting UK residents without being authorized in the country. We have also found a lot of negative reviews from the traders. Some of them cannot withdraw their funds and profits, others haven’t heard from broker since their first deposit. It seems that KayaFX is just one more unregulated company trying to deceive customers. Generally, we always advise traders to avoid dealing with unregulated forex brokers, as most of them are involved in investment scams. There are a number of properly licensed brokers to choose from, like the ones regulated by the FCA or the Australian Securities and Investment Commission. You can read our review on this broker here.